No one can read or cite your paper if they can't find it. Author keywords are important in determining how successful a journal article is. They help determine how it's classified and where it comes up in searches. When you're writing a paper, getting a great set of keywords is a quick way to boost the impact of your paper. 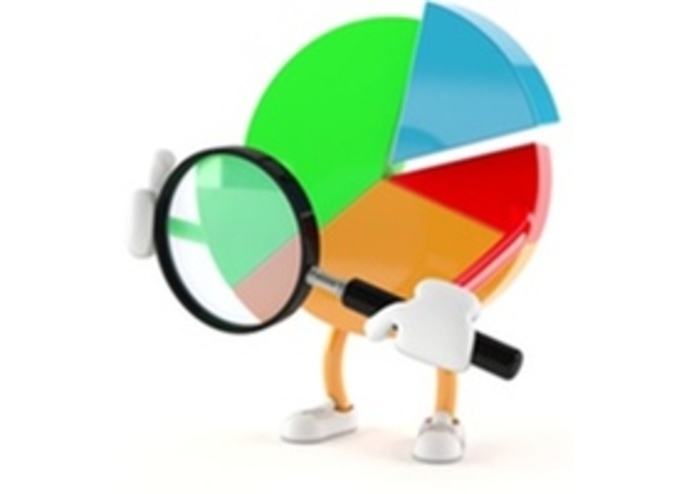 The Keyword Optimizer helps you find the best set of keywords possible. Simply type in the keywords you are considering, and the Keyword Optimizer will analyze Sciverse's large database of papers to determine the effectiveness of the keywords. Each keyword is given a score summarizing its impact along with a score for the overall grouping. 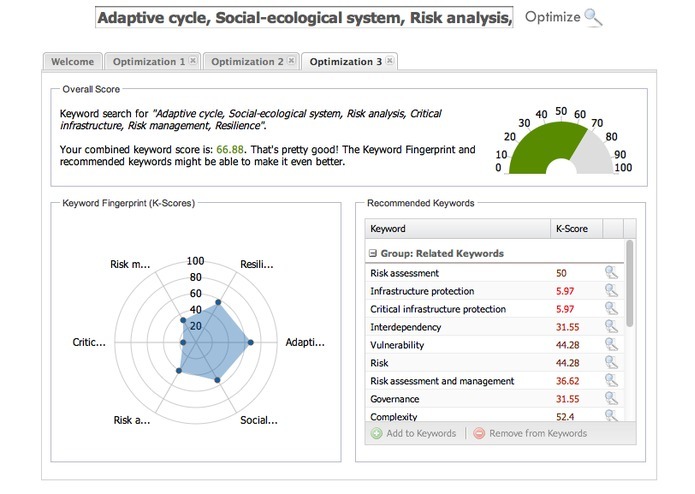 Next, the Keyword Optimizer will recommend related keywords to boost your score. Papers will be analyzed to find unused keywords which are most related to the ones you have entered. You can add these keywords and then recalculate your keyword score with the click of a button. Give your paper the most chance for success, spend 10 minutes optimizing your keywords with the Keyword Optimizer.